The Madras White Buffalos softball team went 1-1 last week. They traveled to Hidden Valley on March 18, and beat the Mustangs 8-2. They also had an away game at Marist Catholic, losing 16-2. 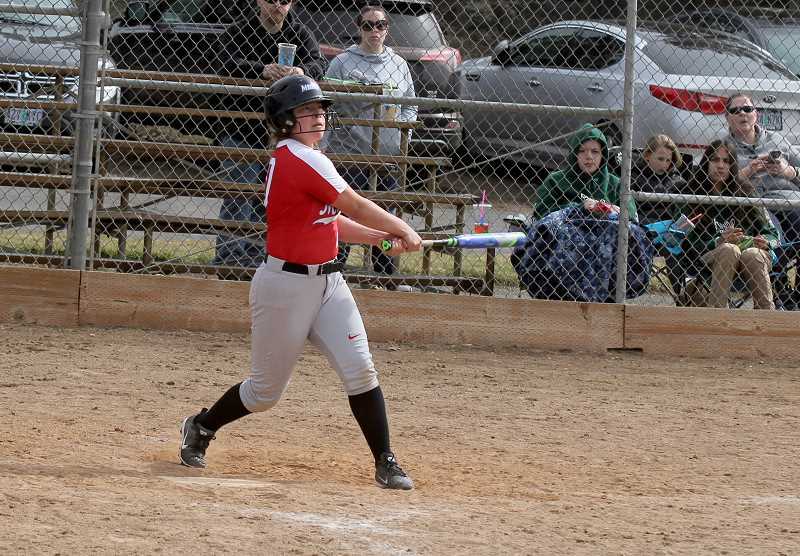 In the Lady Buffs' game against Hidden Valley, the team recorded eight hits and only allowed three hits. Madras scored three runs in the third inning and sixth inning and scored one run in both the fourth and seventh innings. Niyallee Cochran led the Buffs' batting, going 2-for-4 with two doubles and three RBIs. Delaney Vibbert went 2-for-3 with an RBI double and Jiana Smith-Francis went 1-for-3 with an RBI double. Lizzie Steuart went 1-for-3 with an RBI double while Mary Olney went 1-for-4 with a double. Steuart pitched the first four innings for the Lady Buffs and Smith-Francis closed out the game pitching the last three innings. "This was the first time we were even on the field so you don't really know what to expect," head coach Shawna McConnell said. "When you have quite a bit of returners with some new girls, you really don't know what you are going to get. They played surprisingly flawless. That is saying a lot because we had a lot of girls in a lot of different positions." "It was a great first showing for not being on a field," she said. "They played, pitched and hit really well." Madras went up against a pitcher and catcher from Marist Catholic who have both committed to the University of Oregon, but were still able to record five hits on March 20. Madras was able to score two runs in the top of the fourth inning, thanks to a Smith-Francis two-run home run, but could not keep Marist Catholic from scoring. Smith-Francis ended the night going 2-for-3 with the two-run dinger, and Ashanti Quintana went 1-for-1. Both Cochran and Steuart went 1-for-3 on the day. "That was a total turnaround, playing a very skilled, high-caliber team next (Marist Catholic)," McConnell said. "I don't think they were 16-2 better than us. We really did that to ourselves, as far as playing scared. That was probably one of the best teams we will play all year. Madras travels to La Pine on April 2 to play the Hawks at 4:30 p.m.